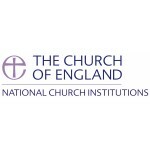 The Church of England Pensions Board provides retirement services set by the Church of England for those who have served or worked for the Church. The Pensions Board is a charity within which the Housing department provides retirement accommodation and services, but we are not a registered social housing provider, and do not operate as one. The Board’s vision is to deliver a professional high quality and efficient service to our customers, respecting their needs and the needs of those who provide us with the money to do this. We are looking for a key person to join us with strong leadership skills and solid housing experience to ensure that customers receive effective advice and the highest quality support through their customer journey with us. Managing the team, you will recruit, inspire, motivate and support them to develop their work practices. You will need sound understanding and experience of delivering a customer focused housing service for older people gained from working either for a charity or housing provider. Joining us at an exciting period of change, we are looking for you to bring a positive energy and a can-do attitude to the role. If you are a leader with expertise and experience of providing quality housing services together with excellent communication and interpersonal skills and the ability to challenge, motivate and develop a team of staff; we would like to hear from you. This role requires the postholder to directly line manage a team of staff providing support, mentoring and development of the team. It will require engagement and communication with staff, colleagues and the wider church, experience of offering services to older people, and the ability to manage staff performance and develop individuals. To Deputise for the Housing Manager as and when required. To provide a high-quality responsive customer focused service to all who are seeking advice on their Retirement housing options, processing applications in a timely manner and sensitive to the needs of the customer. To ensure that the service we deliver is customer centric, of high quality and meets the needs of our customers and stakeholders and other key partners. To monitor, manage and report on key operational areas of business including, applications, tenancy start dates, successions, voids, leasehold issues, complaints and complex case management. To be aware of the Delivery Plan and to implement objectives annually from it. To ensure that customer insight informs the development of the business and our services through regular lessons learnt reviews. Respond effectively and promptly to complaints and correspondence from customers. Managing change resulting from the impact of legislative, contractual or organisational changes. Establish effective relationships with key partners to enhance service delivery. Ensuring that all staff are supported and supervised in all business activities and service delivery. To positively influence, encourage and inspire staff teams to develop and implement strategies and policies which deliver excellent services to tenants, lessees and residents, within performance objects achieved within set timescales. Provide effective and clear leadership for the team to ensure standards of performance are maintained and improved. Hold regular monitoring sessions to review key areas of business including, applications to CHARM, voids, and complex case management. To ensure that annual appraisals and 121s are carried out for staff in the operational team and that the targets and objectives set are meaningful and link to the departmental and operational delivery and business plans. To advise, assist and mentor staff in their professional development and day to day service delivery. To drive continuous improvement across the service to help achieve the Board’s aims of delivering excellent, value for money, customer-focused services. Ensuring that staff within the team are competent and confident in the use of all systems across the business and understand the processes to follow to deliver core business priorities. Overseeing the running of transactions within a monthly, quarterly and annual calendar, ensuring reports are produced in line with agreements, regulatory requirements and business need within the timetables agreed for reporting. To ensure that staff at all levels within housing services team undertake direct responsibility for the accuracy of their own data and that information is entered in to the system in a timely manner. Maintain and develop relationships with partners within the wider internal departments of the NCI’s, the Accounts teams, and the Pensions department and to operate as part of a wider management team in collaboration with colleagues in both the Housing and Pensions Department. Assist with the development of policy and procedures which allow for the regular reporting of key performance areas within Housing Services. To regularly review and evaluate the workload of teams and individual staff, to identify trends, to explore staffing structures and to review these within the context of a developing and changing capability needs. Contribute to the continuous improvement and development of the Housing department and services, through Business Planning. Ability to create, develop and maintain relationships with key partners.